We’re throwing a party and you’re invited Wichita! Be part of this first ever experience as we celebrate all week long the college basketball games March 11th-17th – right across the street from the action at Brick+Mortar Venue. Experience incredible views of downtown Wichita in our 7000-foot glass tent and experience pad as it is transformed into the tournaments top sports bar! The entertainment pad will feature Fire Pits, Video Walls, Televisions, Bar Service and the Main Stage where you can see live entertainment. Our outdoor glass tent is a wide open space, that lets the party continue – no matter what the weather is outside! Battle of the Brackets ICT – Sunday FUNday Selection Party! More info on Facebook or Get Tickets! 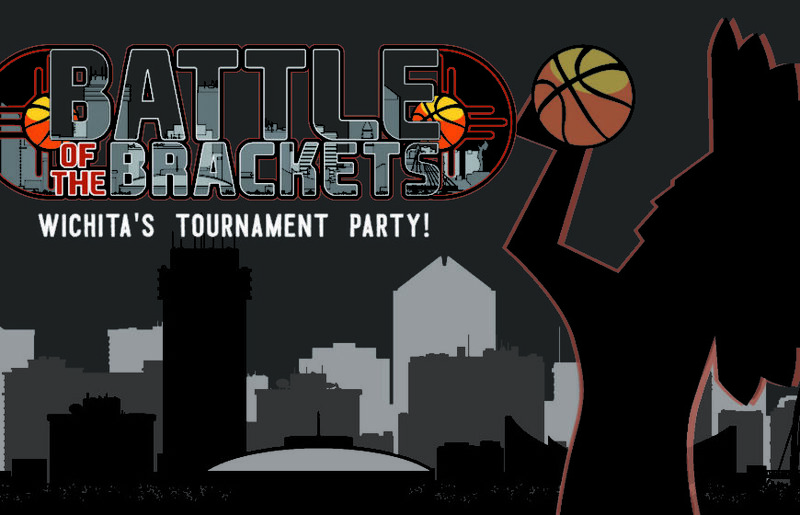 Battle of the Brackets ICT – Tip-Off Party! KU Pre-Game Party and Pep Rally! Brick + Mortar Venue is the OFFICIAL KU Headquarters! Come join us right across the street from Intrust Bank Arena for the Pregame Party from 9:00am to 12:30pm and Pep Rally at 11:00am. Watch the games on the LED video wall and TV’s throughout. Pub Grub and Drinks available for purchase, no ticket required. Battle of the Brackets ICT – Piano Playoffs & Afterparty! Our venue will be open from 11am to 3pm to watch the shocks play! Cheer on Wichita State University as they take on Marshall in the First Round tournament games. LIVE music concert to benefit Children’s Miracle Network Hospital and Miss Kansas Organization featuring Adam Capps and Jason Callahan Band, Tickets REQUIRED $20 in advance, $25 at the door. Check out event link above for more information – find the event on Facebook or Get Tickets! Battle of the Brackets ICT – Piano Playoffs & Afterparty 2! Visit event link above for more info – find the event Facebook or Get Tickets! Check out our OFFICIAL Facebook page for the latest updates. We still have all-inclusive packages available, please contact Brick+Mortar Venue for more info. All prices subject to change based on availability.